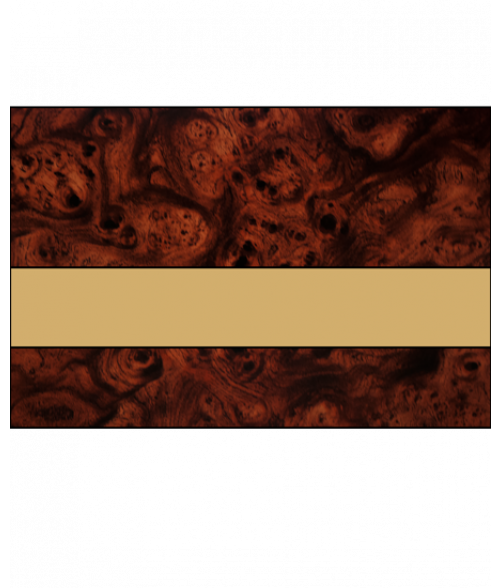 IPI's most elegant engraving product recreates the look of black and/or colored brass in 13 lustrous hues, stone and wood patterns. Available on either a light, tough, bendable .030 or a UV-stable .060 bright brass gold modified acrylic core. Perfect for rotary or laser engraving.